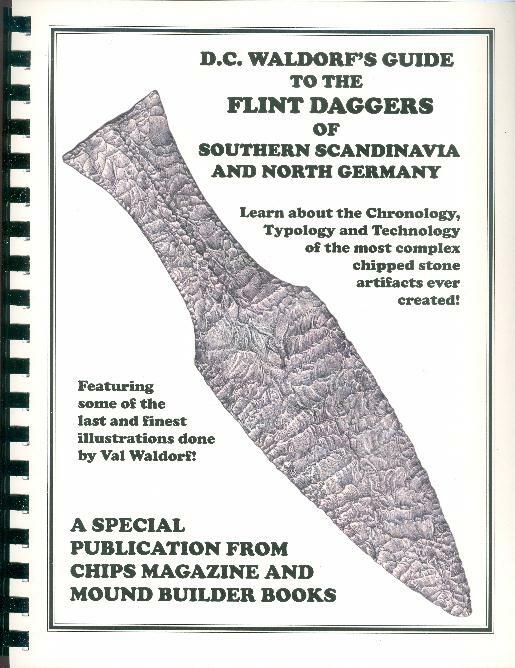 D.C. WALDORF'S GUIDE TO THE FLINT DAGGERS OF SOUTHERN SCANDINAVIA AND NORTH GERMANY Learn about the Chronology, Typology and Technology of the most complex stone artifacts ever created. This is the first book of its kind written in English. 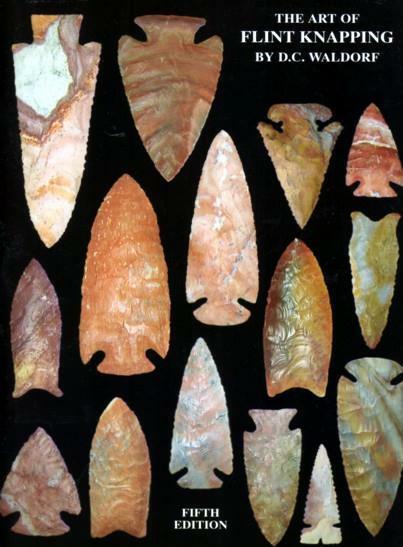 Based on 24 years of study and numerous replications, the technical analysis of how the daggers were made goes far beyond anything that has come before! 8 1/2 X 11, 156 pages, comb bound, featuring 100 original daggers and 24 replicas made by the Author. With hundreds of photos and many fabulous drawings by the Late Val Waldorf. $35 per copy. 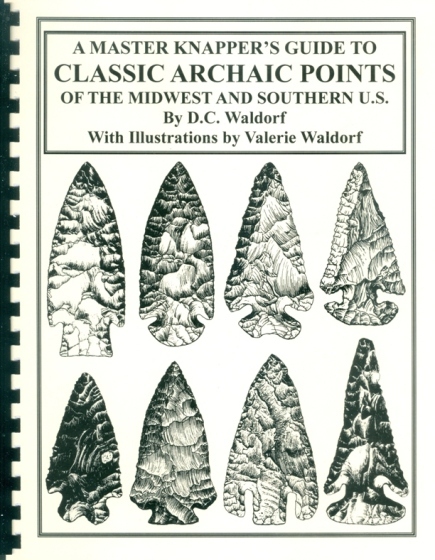 This book is a "print-on-demand" publication made in the USA and is available nowhere else! All copies are signed and dated by D.C. Waldorf! A free copy of CHIPS Vol. 21, no. 4 comes with this book! Also, see the companion DVD on the DVD page, and the Danish Combo on the Specials page.